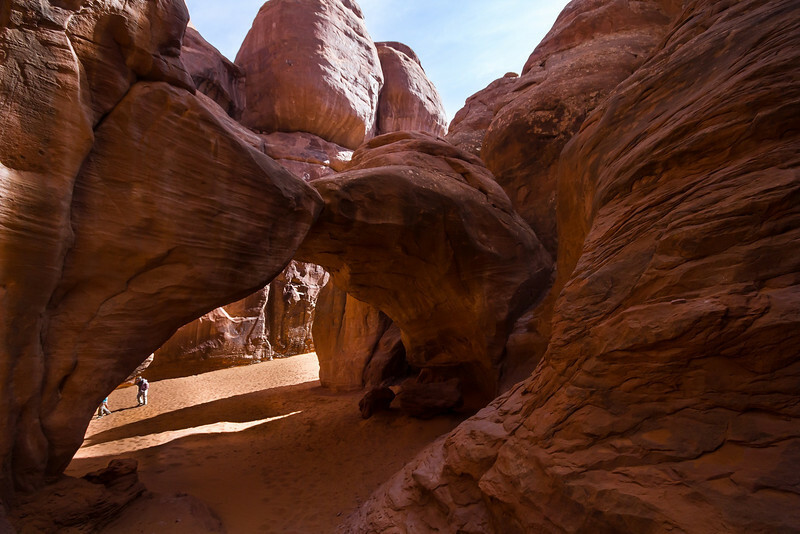 Backside of Sand Dune Arch. The arch is in a cozy cove surrounded by high rock walls. I would have called it Kissing Arch, but Sand Dune works, too.